With The Cookie Jar, Hannah Swensen has a mouthwatering monopoly on the bakery business of Lake Eden, Minnesota. But when a rival store opens, tensions begin to bubble. . .
As she sits in her nearly empty store on Groundhog Day, Hannah can only hope that spring is just around the corner—and that the popularity of the new Magnolia Blossom Bakery is just a passing fad. The southern hospitality of Lake Eden's two Georgia transplants, Shawna Lee and Vanessa Quinn, is grating on Hannah's nerves—and cutting into her profits. At least Hannah has her business partner Lisa's wedding to look forward to. She's turned one of Lisa's favorite childhood treats into a spectacular Wedding Cookie Cake. And Lisa's aunt will be bringing her famous Peach Cobbler to the reception. But Hannah starts to steam when she finds out that Shawna Lee has been invited—and is bringing her own Peach Cobbler. Hannah doesn't like having the Georgia Peach in the mix, especially when both Shawna Lee and Hannah's sometime-boyfriend, Detective Mike Kingston, are no-shows to the wedding. Hannah has suspected that Mike is interested in more than Shawna Lee's baking abilities. So when she sees lights on at the Magnolia Blossom Bakery after the reception, she investigates—and finds Shawna Lee shot to death. Everyone in town knew the Cookie Jar was losing business to the Magnolia Bakery—a fact that puts Hannah at the top of the initial list of suspects. But with a little help from her friends, Hannah's determined to prove that she wasn't the only one who had an axe to grind with the Quinn sisters. 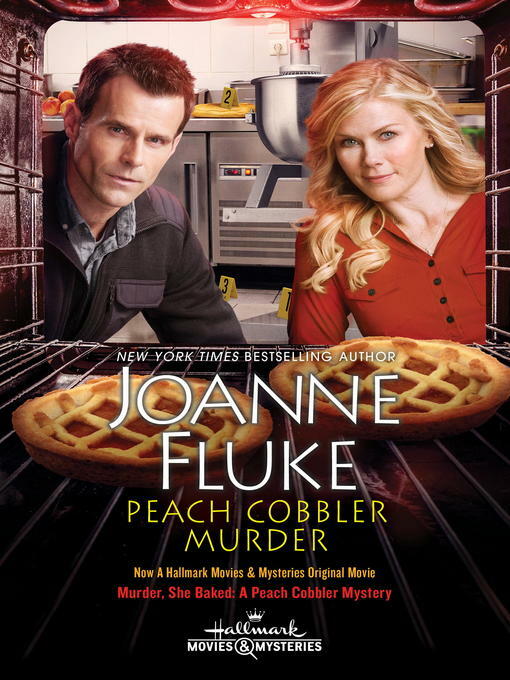 Somebody wasn't fooled by the Georgia Peaches and their sweet-as-pie act—and now it's up to Hannah to track down whoever had the right ingredients to whip up a murder. . .